15 nutritious foods needed by children - Toddlers and children who undergo a period of growth clearly need nutrients that are important to the body. For this reason, as a parent, try to meet these needs with nutritious food as reported by the following Parenting. In eggs contain good protein consumed at breakfast. 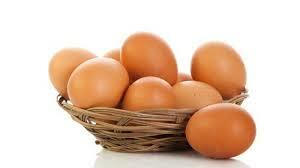 Eggs are also one of the foods that contain natural vitamin D to help the body absorb calcium. A study has mentioned that toddlers and children who eat oatmeal are more able to concentrate and be attentive when at school. Oatmeal is also rich in fiber which is good for digestion. whole fruits good for toddlers and children. Because it contains lots of vitamins, minerals, fiber, and other nutrients. Give toddlers and fruit children every day to get those nutrients. Nuts have good fats that nourish the heart. So don't hesitate to provide peanut snacks for toddlers and children so they can grow healthy and strong. Protein and calcium in milk are sources of energy for the brain and body. Protein helps the body form brain tissue, while calcium maintains the strength of bones and teeth. Indeed, this one nutritious food is a type of fruit that has already been mentioned. But blueberries are recommended for toddlers and children because of the high antioxidant content in them. Products from soybeans are another source of protein that is no less nutritious than eggs. Tofu is also good for consumption by daughters for the development of breast tissue. In tomatoes, there is a compound called lycopene, a cancer-fighting antioxidant. Cooking tomatoes before consumption is recommended because the content of lycopene in it increases. Another snack that is both delicious and nutritious for toddlers and children is yogurt. Yogurt has the property of boosting the immune system and maintaining digestive health because there are good bacteria in it. For vegetables, cabbage is a nutritious food that is clearly needed by toddlers and children. In addition, broccoli and kale can also be given to prevent cancer and improve digestive health. The content of omega-3 fatty acids in salmon makes these fish mandatory food for toddlers and children. Usefulness? Maintain brain development, prevent depression, and reduce the risk of inflammation. Choose the color is black because chocolate is better if it's getting darker. There are compounds called flavonoids in chocolate that improve the health of the heart, mouth, and also the skin. soybeans Soy is a good source of protein, fiber, and calcium. We recommend that you choose black soybeans with the efficacy of preventing heart disease and cholesterol. fragrant herbal plants that are rich in antioxidants, vitamins A, C, K, iron, potassium, and calcium that improve digestive health. Some studies even mention effective basil leaves fighting headaches. Finally, there is cinnamon, a nutritious spice needed by toddlers and children to balance sugar levels in the body. Cinnamon is also a food that can provide energy to children who like to go to school in the morning. That's a variety of nutritious foods needed by toddlers and children. Find the right way to process it so the baby can enjoy it ravenously.